Do you ever look at your kitchen and you wonder what it would take to replace the flooring? You may even want to know what the best flooring for kitchen floors actually is. 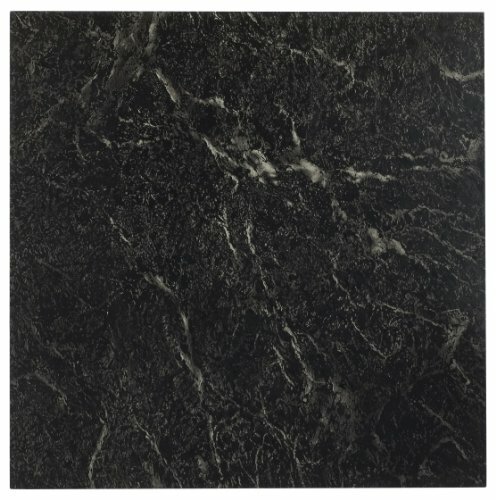 There are a ton of different hard surface floorings that would work beautifully well in a kitchen. The question is going to be what look do you want to see? There are a few things to think about in selecting the best flooring for your kitchen, so we’re going to walk you through what you need to consider and give you some suggestions on kitchen flooring. If you’re like most families, ​you live in your kitchen. It’s where your family meets for meals and where you entertain friends on game night or for a potluck. Given the amount of traffic your kitchen is going to endure, you need to make sure that your kitchen floors can handle what you throw at them. At the same time, you also need to think about how the floors will reflect you and what you want out of your home. Do you cook all the time? If the answer is yes, then you need to pick a floor that can stand up to the potential staining things that will inevitably fall. After all, sauces get spilled, dishes get dropped, kids wander to the fridge looking for something to eat – your flooring needs to take it all. You’ll also need to think about your personal style. 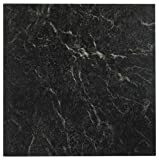 Ideally, your kitchen floors will reflect your kitchen’s atmosphere. It could be a country kitchen or something straight out of a contemporary magazine. The design is your call, but you’ll need to think about the visual impact your flooring is going to make once it sits in your kitchen. Neutrals might be just the ticket. Do you spend hours and hours on your feet in the kitchen? Believe it or not, the flooring makes a difference in the way you feel on your feet when you’re standing in there for hours on end. Tile floors can be difficult to stand on for a long time. Wood feels better, but you can also modify flooring by adding a soft rug to help with the comfort factor. You know people are going to be living in your kitchen pretty regularly, so you want to pick flooring that will be easy to clean. Remember, you’re going to also want to pick something that won’t be likely to stain when that spaghetti sauce gets dropped at some point. Are you planning on doing an entire remodel? Are you only focused on the kitchen? Where does the cost of your flooring fit inside your plan? You will also need to measure the kitchen to get an approximate idea of how much square footage you’ll need to cover in your kitchen. At that point, you’ll need to figure out what the estimated cost is going to be to be able to give a reasonable assessment of your budget. When you’re learning about the best flooring for kitchen floors, there are several options that are available to you. Some are more expensive than others, and many offer different benefits once you pick which one you want. Keep in mind that even with the benefits that come with each flooring, there are also drawbacks, too, so you’ll want to weigh them both to make the best decision for the future of your kitchen. ​Hardwood looks beautiful in the kitchen and adds real warmth to your overall look. As a plus, it stands up quite well to spills and everyday wear and tear. It can last for a very long time, years in fact, and hardwood offers you the opportunity to change up the look every once in a while. If you wanted to change the stain, you could do that with relatively minor effort. 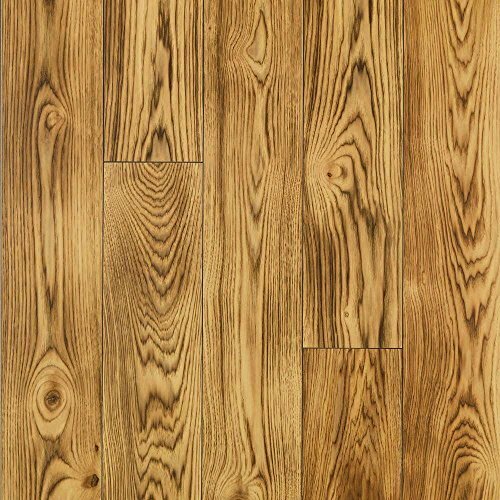 Hardwood also tends to be one of the most expensive flooring types you can purchase. The biggest reason for the cost is the way that hardwood takes a very long time to replenish. It is not unusual to expect sixty years to pass before having enough hardwood to replace what you put down on your floors. ​Laminates are a fantastic option if you want the wood look but don’t want the actual hardwood. It’s resistant to wear from pets and people. It also resists stains really well. The lower cost makes it much more affordable for people to put this into their homes. 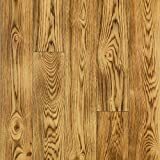 You’d be pleasantly surprised to know that laminates have come such a long way that there are professionals that cannot tell the difference between wood laminate and hardwood flooring. You may even be able to install laminate flooring on your own. There’s no mess to make it happen and is also considered eco-friendly. As another perk, laminate is also very low maintenance. ​Bamboo flooring is one of the latest trends in kitchen, and even whole house floors. You can find bamboo available in planks and tiles that cover the gamut of colors. 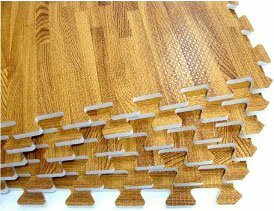 It stands up to traffic and is much more comfortable to stand on than many other flooring options. 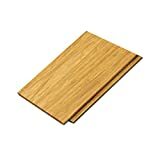 Bamboo flooring also takes to spills really well, so when your little one drops that glass of water or that bowl of yogurt, it will be reasonably easy to clean it up. Bamboo is an excellent choice if you are an environmentally conscious individual as it is extremely eco-friendly. As bamboo is considered a rapidly renewable resource, it’s a much better option than hardwood. Have you ever thought about putting cork down in your kitchen? It makes for an extremely comfortable floor due to the way cork is naturally very soft. The softness means less back pain and leg strain. Something else to consider is the way cork can cushion a fall. In case you drop your favorite coffee mug, there’s a good chance it won’t actually break because of the inherent spring that occurs with cork. 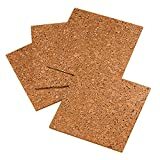 Cork is available in multiple colors and different sizes. You’ll find it in tiles, planks, and even sheets. 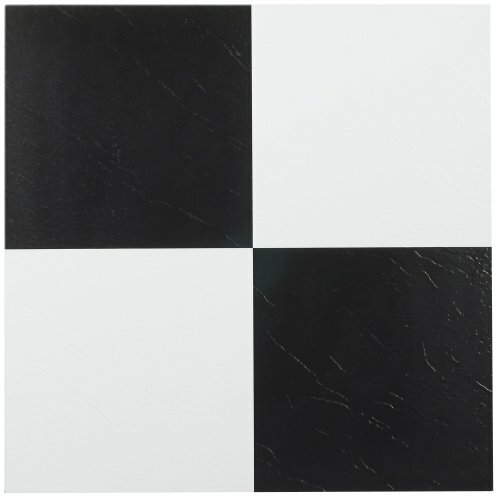 ​Vinyl flooring is a popular choice for a reason. The flooring is not only incredibly resilient, but it is also one of the most inexpensive options available on the market. You’ll also find a variety of different patterns to choose from. Some of the patterns look more like ceramic tile while some even look like stone. With so many looks to choose from, the choices available with vinyl can reflect who you are in a variety of ways. 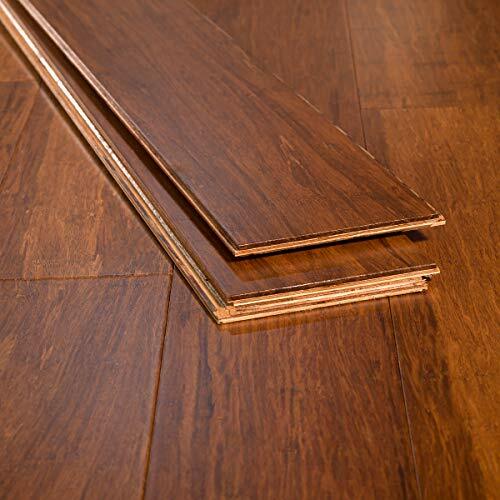 Vinyl is also more comfortable than tile or hardwood due to its elasticity. You may even be able to drop a few breakable items that won’t actually break on a vinyl floor. 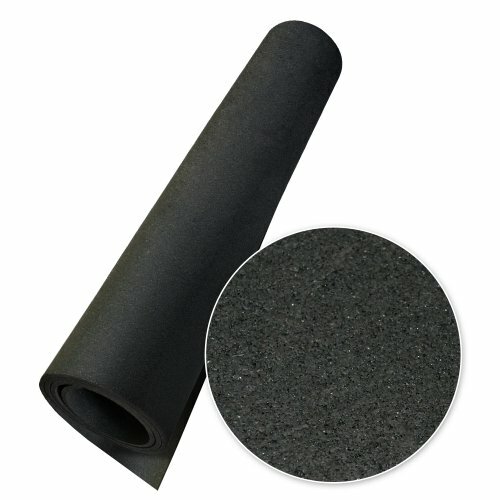 Foam Floor Mats has been around as a flooring option for a really long time, but there is good reason for it. Long gone are the dated looks that linoleum used to represent. Nowadays, you’ll find that there are a number of options available to you. There are other advantages to Foam Floor Mats, too. The surface is incredibly durable. As a bonus, linoleum is also naturally antibacterial. It makes sense why you might find Foam Floor Mats in doctor’s offices and hospitals. 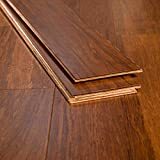 These types of floors are also softer than most of the others and are often compared to vinyl given the variety and feel once the flooring has been laid down. Tile floors have a lot of pros and cons that go along with them. On the one hand, tile is very durable and can take all of the foot traffic you can muster. It’s also easy to clean when water gets spilled. When little Susy decided her applesauce was better on the floor, you can rest assured that the tile is not going to absorb the applesauce or any odors. At the same time, if you drop something on tile, it is extremely likely that it is going to break or dent. Ceramics do not get along well with tile. Stainless steel pots and pans may also not get along with tile if they fall on the floor. 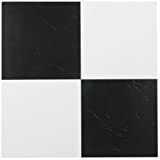 If you want tiles and still want to spend all day in the kitchen, you will absolutely need some sort of rubber mat to cushion your feet and save your back. Have you ever seen ​rubber flooring used in a kitchen? It’s actually an excellent option for several reasons. For one, rubber is springy and soft which means it will be much more comfortable to stand on hour after hour, day after day. Rubber also doesn’t absorb water so it will be easy to wipe up spills. You can drop things,andchances are that whatever you drop won’t get damaged or break. Additionally, you may even be able to install rubber flooring on your own. This is a huge cost saver if you decide to go that route. ​Concrete floors are a big thing lately. People have been exposing the concrete foundations in lieu of flooring for a while. Some also choose to put down a fresh layer of concrete that can be stained, scored, or modified to make it look like something different. 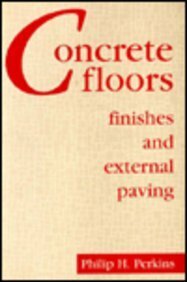 Concrete is unique as a flooring because in many ways, it is a less expensive option for flooring, and you can adjust the way it looks to be exactly what you want. Do you want to have a floor that looks like marble? Concrete can do that. Do you want to make it look like stone? Concrete can do that, too. Concrete also does not encourage mold or mildew to grow at all. Let’s not forget just how durable concrete is, either, because it can take a beating from all of the foot traffic that will cross it. 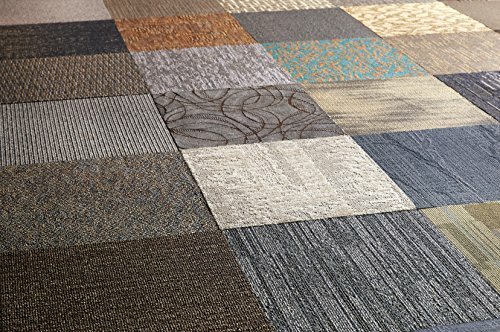 ​Carpet tiles are definitely an alternative, although it is not popular. You may instead elect to create customized carpeting or mats to accent your existing flooring. There are options out on the market that inhibits bacteria and mold growth, so you could use it in your kitchen if you really wanted to. There are plenty of different patterns to choose from, too, so you can make carpet tiles your own. So, you’ve looked at materials, picked out patterns, and now you have a few ideas in mind about the flooring you want. Some of these options are easy enough to install on your own. If you’re into DIY projects, this could be a very satisfying experience. 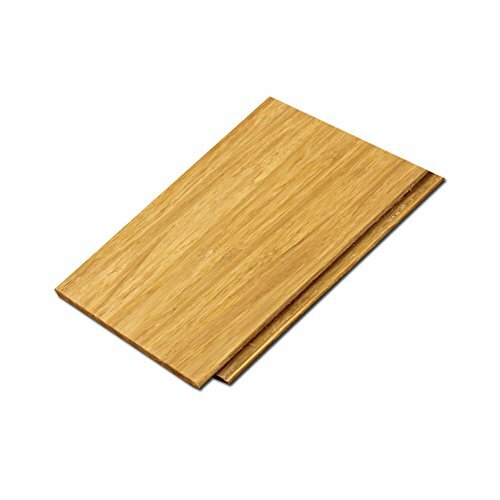 Laminate, as an example, is relatively easy to install on your own and maintenance is low once the project is done.